Free Bingo | Play No Deposit Bingo for FREE @ Loony! If you love bingo freebies, then Loony Bingo is the place to be! There are so many free bingo games to choose from so you can have lots of fun playing!. We have four amazing rooms such as The Biggie, The Grand, The Ultra, and The Supreme where over £2,000 in jackpots is given away every day! Plus, we offer free bingo games to all of our players including Newbies who just signed up – no deposit required! Get 3 days of Free Bingo (No Deposit) and Win! It’s simple to sign up to Loony Bingo and as soon as you register, you’ll get 3 days access to one of our top free bingo rooms! Enjoy loads of no deposit bingo in The Biggie room for loads of fun as your start off at the site. The best part is that you can win for free with exciting £50 jackpots up for grabs daily! Who can resist a no deposit bingo freebie like this?! Which Loony Bingo games are free to play? Loony has built up its reputation as one of the best free bingo sites online and it’s easy to see why! Once you’ve enjoyed your 3 days of bingo at no cost and claimed your Welcome Bonus, you can find more free bingo games to play. There are not one but FOUR crazy rooms where you can play for free! 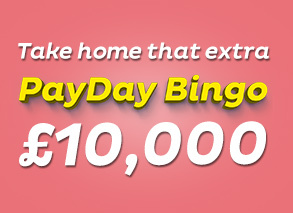 To unlock one of these four fabulous free bingo rooms, you need to make a minimal deposit. Then once you gain access you can play as many games as you like for two entire days! Remember, there are over £2,000 in jackpot prizes up for grabs every single day at Loony Bingo! Had fun with your 3 free days of no deposit bingo in The Biggie room? Simply add just £10 to re-enter this room for two days and you can win more of the £50 jackpots on offer! Next, unlock The Grand to get your hands on up to £100 in free bingo jackpots, The Ultra for up to £250 jackpots, and The Supreme for up to a crazy £500 jackpot of free bingo bonus cash! Keep in mind that all 4 rooms are open daily from 12:00pm to 11:45pm with a total of 14 games happening. There are so many chances to grab your share of the £2,000 given away in Loony Bingo free games! All games are available to funded players only, except “The Biggie” which is available to all players. "The Biggie" free bingo room is available to new players, no deposit required who registered within the last 3 days. In exceptional cases, Loony Bingo may conclude promotions, bonuses or special offers before the end of advertised period or may prolong the period of a promotion, bonus or special offer for example due to security or bonus abuse issues.